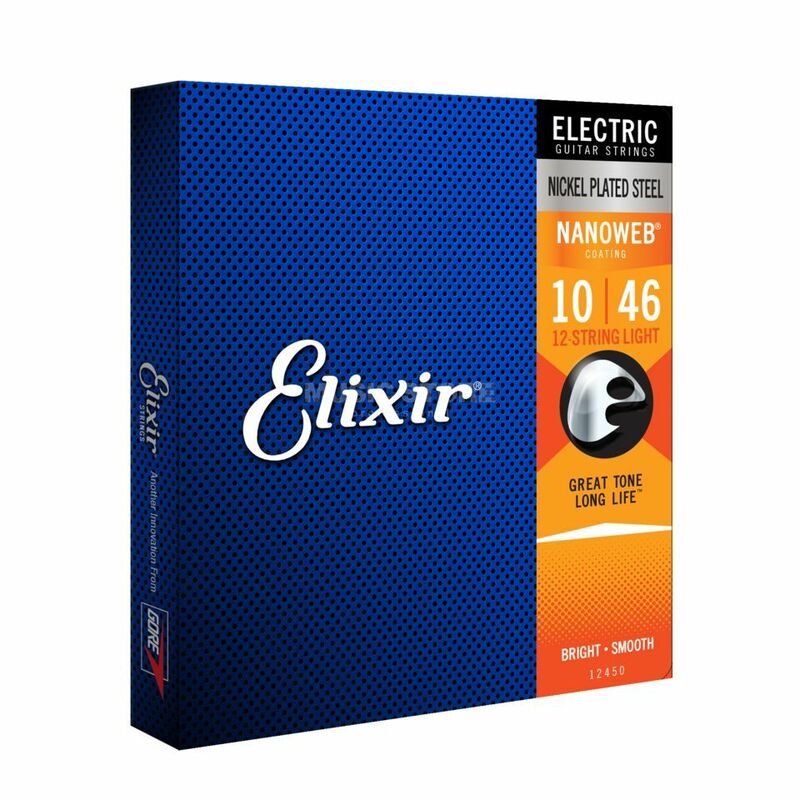 The Elixir 12450 Nickel/Steel Nanoweb Light Electric 12-Strings 10-46 is a set of 12-string electric guitar strings made from nickel-plated steel with a Nanoweb coating and come in a light gauge. These strings deliver the presence, punch, and personality of traditional electric guitar strings but with an extended tone life. Producing a consistent performance and tone, the nickel-plated Nanoweb electric strings offer a smooth feel with enhanced playability and reduced finger squeaking. The plain steel strings have an anti-rust plating that resists tone corrosion.